Madrid, Spain — IE School of Arts & Humanities is pleased to announce the launch of its new Bachelor in International Relations program. The Bachelor in International Relations is an intellectually demanding program that caters to highly motivated students with exceptional academic backgrounds. It is taught entirely in English and aims to satisfy the rising worldwide demand for highly-skilled, well-informed graduates, who are capable of adapting to a rapidly changing global environment. Like the IE Master in International Relations, the bachelor is a hands-on, practical and comprehensive program that prepares students for a career in the international public and private sectors. Its goal is to prepare students for the challenges of working in increasingly diverse and complex international scenarios, while finding solutions to interrelated real-world issues in different contexts. The new four-year degree is designed to provide undergraduate students with a thorough knowledge of international affairs, combined with solid foundations of business and management, in order to help them bring breadth and depth of understanding to the workplace. This broad multidisciplinary background is intended to produce graduates with an integrated global vision of fields like political science, foreign policy, economics, business, management, international law, international security, history, philosophy, and language. Moreover, it aims to produce global leaders with a profound understanding of the complexity of world affairs, who are capable of applying critical thinking and effective leadership skills to a wide range of issues in both the public and private sectors alike. The program employs a unique practice-based approach and seminar-type discussions in the IR Lab. Students will learn to analyze interconnections between peoples, societies, governments, corporations, and multilateral organizations beyond the classroom in these semester-long courses, which are a major part of the program’s core curriculum and not only simulate real-life challenges, but also train students in conflict resolution, crisis simulation, strategic thinking, policy-making, public speaking, and news writing. By encouraging the advanced study and hands-on practice of current affairs, and by fostering a critical-thinking learning environment, students will engage in developing creative problem-solving techniques, analytical abilities, and research skills. Students will also be required to demonstrate college-level proficiency in a foreign language and complete a mandatory term abroad at a partner university prior to graduation. Students benefit from IE’s world-ranked expertise in management and business, as well as of IE School of Arts & Humanities’ internationally renowned faculty and staff. Students will also have the opportunity to pursue dual-degrees offered in conjunction with IE Business School, IE Law School, and IE School of Communication. The program is committed to ensuring unparalleled standards of education, by delivering an ambitious global program that offers a high-quality curriculum and valuable practical training, which are major stepping stones toward specialized graduate programs in international affairs and business. The program will launch its inaugural class in September 2012. 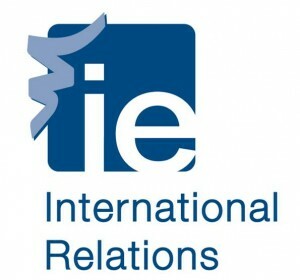 More information about the new Bachelor in International Relations is available at http://www.ie.edu/university/studies/academic-programs/bachelor-international-relations . To learn more about IE School of Arts & Humanities, please visit http://www.ie.edu/IE/site/php/en/school_arts_humanities.php .